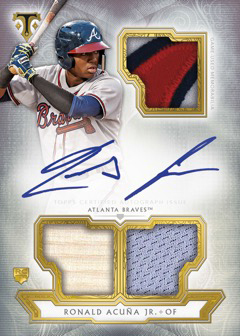 2018 Topps Triple Threads Baseball ($199.95 - $5 = $194.95) arrives Wednesday at Sports Cards Plus, a.k.a. The Super Hit Factory. 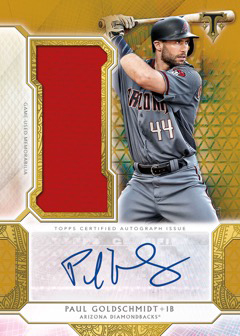 2018 Topps Triple Threads continues to stress a large checklist that’s populated by a large amount of low-numbered autographs and memorabilia cards (4 autos or memorabilia per box). 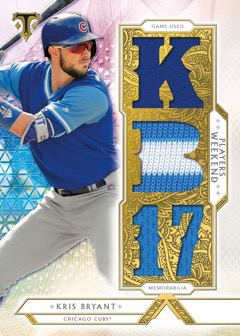 2018 Topps Triple Threads boxes have two packs with seven or eight cards per pack. 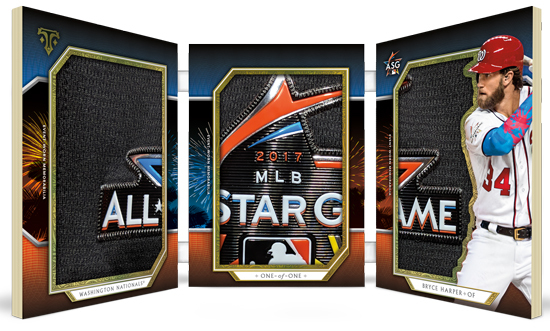 Both packs have a trio of base cards, two parallels and two hits. One pack comes with an autographed triple relic (/99 or less) and a jumbo relic (/36 or less). The second pack has a triple relic (/36 or less) and either an autographed jumbo relic (/99 or less) or rookie autograph (/99 or less). 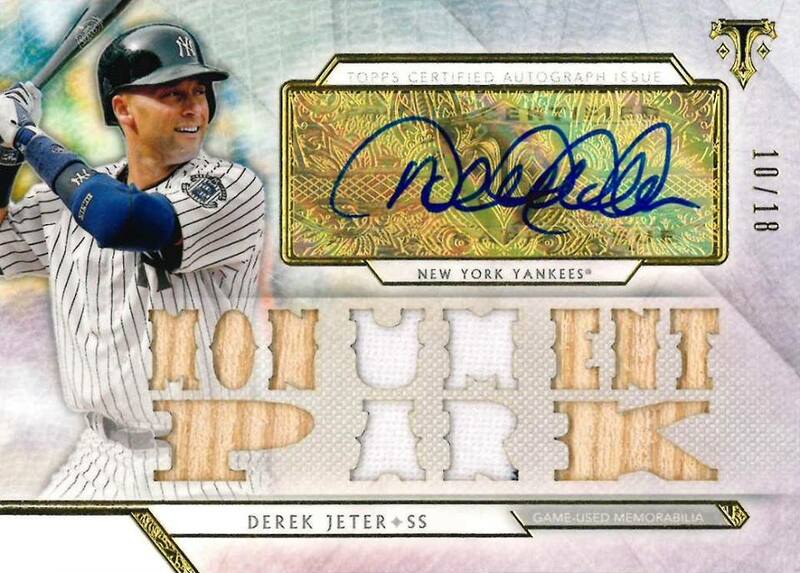 As it’s been from the beginning more than a decade ago, this is one of those products that brings some risk when you break down the cost but some big rewards when you get into the SUPER PREMIUM HITS. 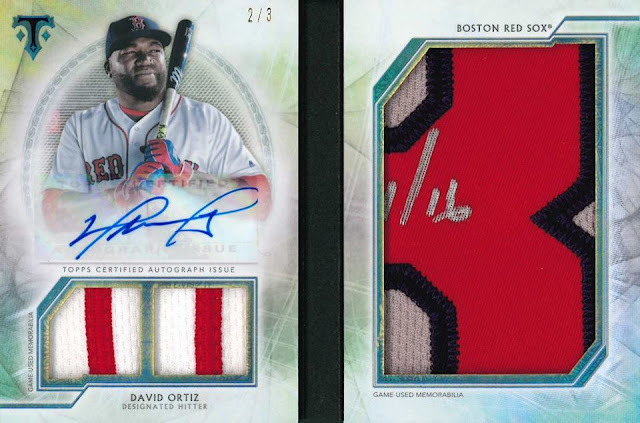 For example, at the case level (18 boxes), there’s an triple autograph relic with three different signatures and a one-of-one autograph relic. 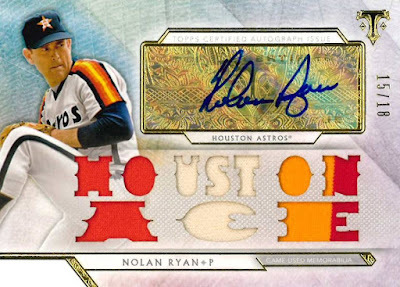 While 2018 Topps Triple Threads Baseball is largely about the hits, the product has a widely popular base set. The base set also includes Rookies and Future Phenoms Autograph Relics. 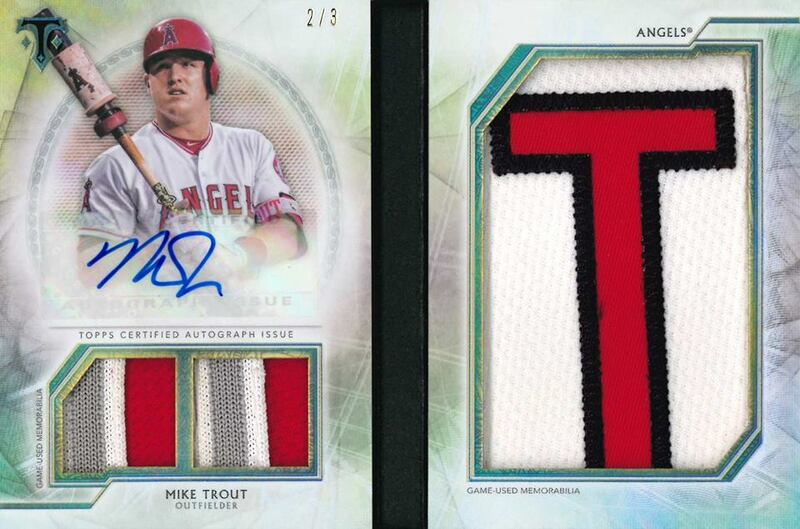 These all have a signature as well as three swatches or pieces of gear. 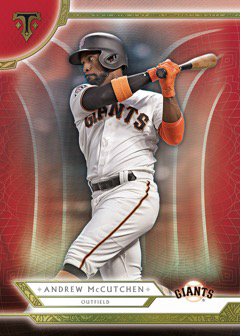 Base versions have 99 copies each and parallels go down from there: Silver (/75), Emerald (/50), Onyx (/35), White Whale Printing Plates (1/1), Ruby (1/1) and Wood (1/1). Although most of the autographs in 2018 Topps Triple Threads Baseball come with relics, not all of them do. 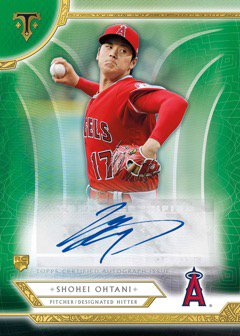 There’s more basic Rookie Autographs, all of which are numbered. 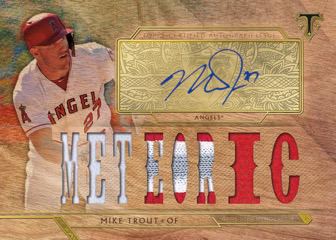 Parallels include Emerald (/50), Gold (/25), Sapphire (/10), White Whale Printing Plates (1/1) and Ruby(1/1).